I'm at my wit's end with this, and I can't find anything about it in documentation or questions, so I thought I'd ask one. 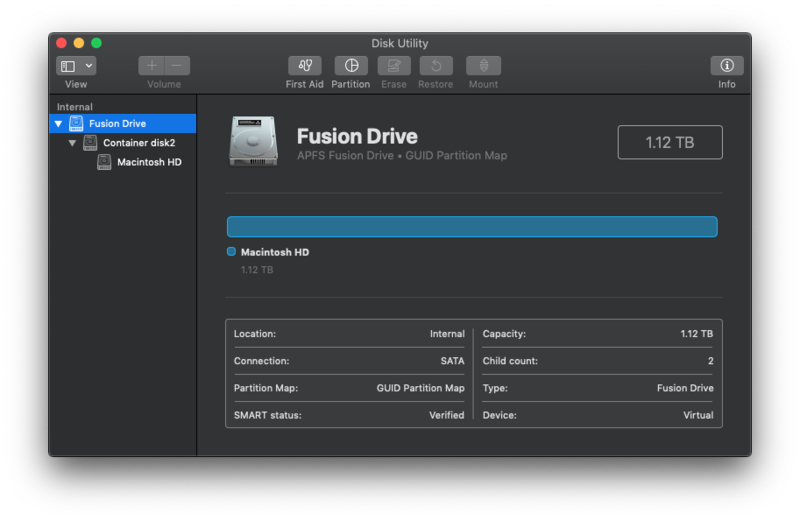 I had an APFS Fusion Drive that included two drives: (120+500) GB. I cloned (dd) the 500 GB drive to another 1 TB drive and exchanged it. 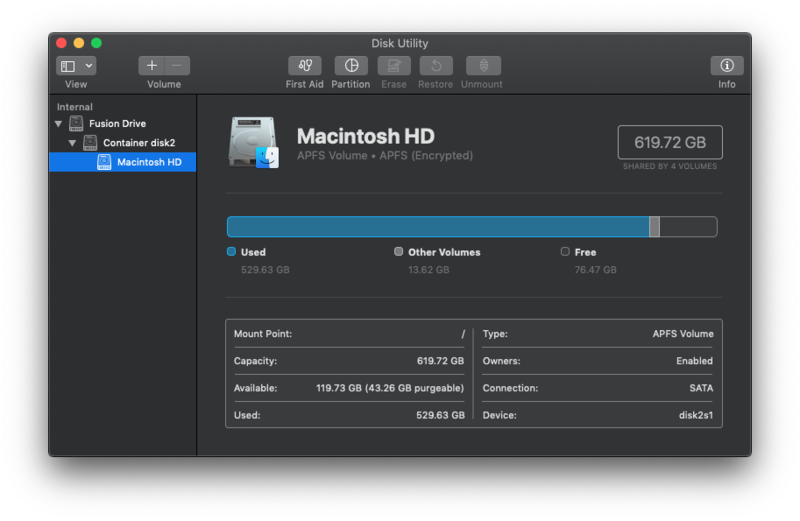 All good so far, except the 1 TB drive acts as a 500 GB, as expected. So I must've not understood something or done something wrong, but I appreciate any help in getting to use that stubborn extra space on the drive! It may be that one of the EFI partitions is getting in the way of the resize. Please see this thread Can't extend APFS after erasing old partition as free space. Also check out the last comment to the article here. In this case, the person had an "Apple kernel dump" partition interfering. Not the answer you're looking for? 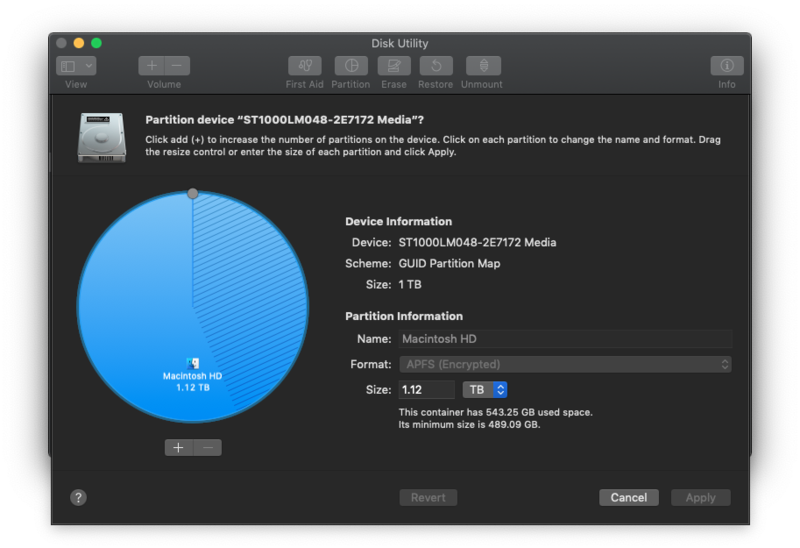 Browse other questions tagged disk-utility partition apfs core-storage fusion-drive .